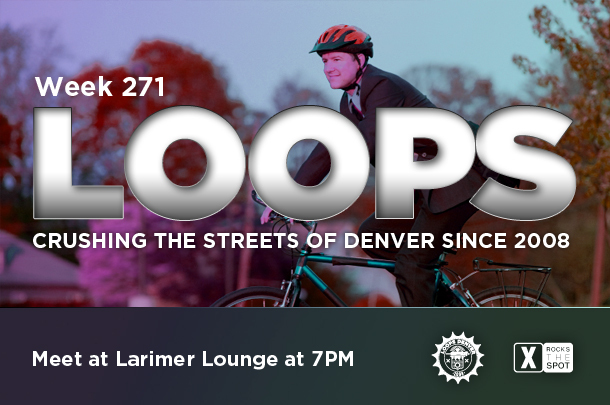 Loops is a Tuesday night bike ride through out central Denver. The ride covers approximately 15 to 20 miles and makes 3 to 4 stops along the way. Riders are encouraged to ride at their own pace and meet at the stops that are posted on xrocksthespot.com the day of the ride. The ride meets every Tuesday night aLarimer Lounge (27th & Larimer) Come out and ride with us, make friends, and have a good time.